Our box office is powered by Visit Belfast you can also call in to Visit Belfast in person to book your tickets. Where is the Festival Box Office at Visit Belfast? 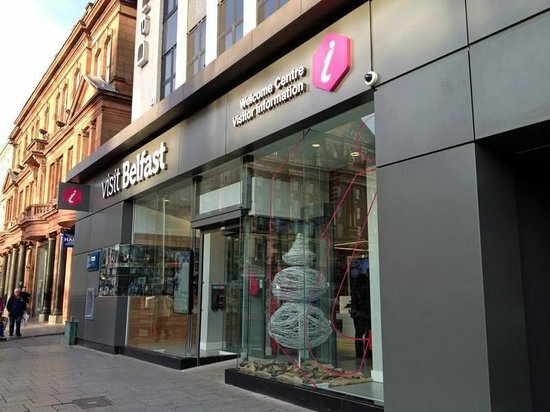 The Visit Belfast Welcome Centre is found at 9 Donegall Square North, Belfast, BT1 5GB opposite Belfast City Hall at the heart of the city. Can be easily accessed via all major Translink Metro bus routes including their new Glider service beginning in September 2018. Can I propose an event for the Festival? Belfast International Arts Festival is a curated programme. We will not accept unsolicited proposals for events. However if you are promoting an event you think fits with our vision please contact us at the email address below. Just give us a call on 028 9033 2261 for admin enquiries or email enquiries@belfastinternationalartsfestival.com. Please also read our conditions of sale for full details on refunds, ticketing and admission terms.